Fabulous 1080+ sqft home for the first home buyer, blended family or young/retired couple. Great location and a home with so many conveniences! Main and basement laundry, 2 kitchens, large garage and lot, etc. 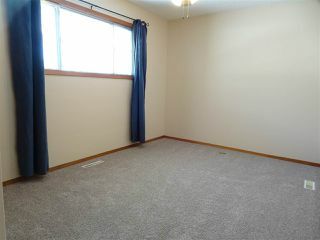 This home shows beautifully as its been professionally painted, has new flooring and new windows. Great floorplan with separate dining room off kitchen. 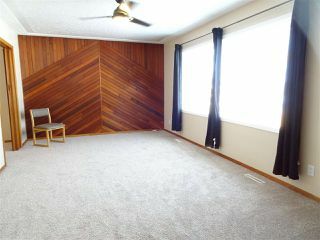 Living room is massive and enjoys great greenspace views out large picture window which overlooks playground. Master bedroom can accomodate a kingsize bed, second bedroom, full bath and a rare main floor laundry room (which could be converted back to a bedroom) complete the main floor. There is a separate entrance that leads to the downstairs to a good sized dining area, kitchen, large family room, huge bedroom with a walkin closet, bath and another laundry room. Outside is a fabulous lot and yard that is completely fenced, has RV parking and oversized double yard. Lots of windows and open space views! Close to Rundle Park, schools, buses! !